Come celebrate Nashville's Birthday with lots of Music, Music, Music! From the deep Country Music roots in Nashville. to Memphis, the birthplace of Blues and Rock n Roll you will be tapping your toes and singing along. In Nashville, Music City U.S.A, you will be entertained with museums, delicious food and entertainment, including the Grand Ole Opry. 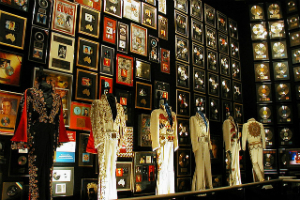 Graceland, the home of Elvis Presley and Loretta Lynn's Ranch are just a few of the highlights you will see on this 8 day getaway. Join us for a trip full of Entertainment and of course MUSIC! • Ryman Auditorium "Country Classics"